It seems that criticizing Starbucks for the design of their holiday season cups is a new American tradition. It’s especially popular amongst far-right groups and the sort of “Christian” talking heads who call themselves oppressed while simultaneously enjoying paid time-off during their favorite religious holiday. 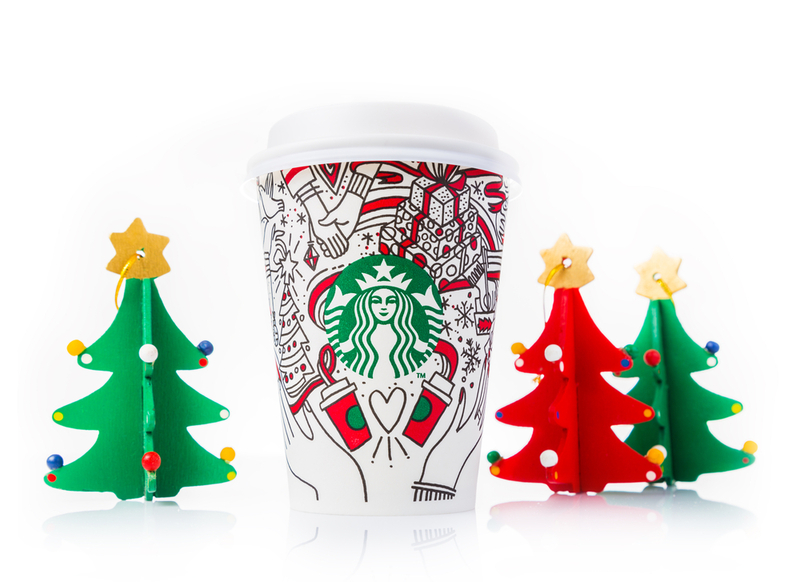 This year’s cup features a variety of innocuous holiday-themed images. Snowflakes, a pile of wrapped presents, people signing Christmas cards, and a pair of hands holding each other. The hands are the rub, this year. They’re fairly neutral. One is wearing bracelets, the other a sweater. There’s no obvious indicator of gender, beyond the implication of jewelry. But after a Buzzfeed article stated (with no more support than the visuals) that the hands were “totally gay” and indicated a lesbian couple, Fox News and conservative site The Blaze decided to blame Starbucks for “a gay agenda campaign.” They added fuel to their own fire when Starbucks would not give Fox an answer either way on the identity of the cartoon hand-holders. Why Starbucks, a global brand whose CEO is a Jewish man, is held year after year responsible for the entirely imaginary “War on Christmas” (a holiday which now apparently begins in mid-October and is expected to be revered until the clearance sales end in January) is a mystery. Even the current president bellowed about it from his pulpit during his campaign last year.